I concluded My Saturn Award votes and predictions for 2018 by telling my readers "That's it for the Saturn Awards from me until July 2nd when I plan on covering the winners. Stay tuned." Today is July 2nd, so it's time for me to follow through with the winners from Variety. Disney-Marvel’s blockbuster “Black Panther” reigned at the Saturn Awards with five wins, followed by “Star Wars: The Last Jedi” with three. “Black Panther” was named best comic-to-film, along with best director (Ryan Coogler), best supporting actress (Danai Gurira), best production design (Hannah Beachler), and best makeup (Ken Diaz and Joel Harlow)...“Star Wars: The Last Jedi” won for best writer (Rian Johnson), best editor (Bob Ducsay), and best actor (Mark Hamill). I thought it might be a big night for "Black Panther" and "Star Wars: The Last Jedi," and it was, although not as big as I expected nor with the awards I expected. For example, I thought "Star Wars: The Last Jedi" would win Best Science Fiction Film. Instead, that went to "Blade Runner 2049," which was more of an entertainment professional's choice than a fan favorite. I also forecast that Carrie Fisher would win Best Supporting Actress, but I found myself pleasantly surprised that Danai Gurira won it instead. On the other hand, I was expecting Mark Hamill to win Best Actor in a Film and "Black Panter" to win Best Comic to Motion Picture Release. Both did. Speaking of Hamill, the Associated Press caught him on the red carpet explaining his performance: Hamill: Playing jaded Skywalker was 'tough'. Speaking at the Saturn Awards in California, actor Mark Hamill says playing a jaded, world-weary Luke Skywalker in "The Last Jedi" was tough as he had always been "the most idealistic character." "Coco" ended up being the third most awarded movie, earning both Best Animated Film and Best Film Music. The first I expected, the second I didn't, even though I was thinking seriously about voting for it, although that was based on its songs, not its film score. Red Carpet Report on Mingle Media TV interviewed its star in Anthony Gonzalez #Coco interviewed at the 44th Annual Saturn Awards Red Carpet #SaturnAwards. The rest of the winners only won one award each, including most of the genre movie winners. Best Fantasy Film went to The Shape of Water. Get Out earned Best Horror Film. "The Greatest Showman" won Best Action/Adventure Film. Best Thriller Film went to "Three Billboards Outside Ebbing, Missouri." The Best Independent Film was awarded to "Wonder." "Baahubali 2: The Conclusion" winning Best International Film made the biggest splash of any of the single award winners, as the news spawned several videos for the Indian audience. Most of them were in Telegu or Tamil, but one of them was in English: ‘Baahubali: The Conclusion’ won the best International Film of the year award. Variety listed the remaining acting winners as "Gal Gadot for best actress in 'Wonder Woman,' Patrick Stewart for best supporting actor in 'Logan,' and Tom Holland for best younger performer in 'Spider-Man: Homecoming'" The remaining technical film awards went to "Beauty and the Beast" for Best Film Costumes and "Guardians of the Galaxy Vol. 2" for Best Special Effects. Follow over the jump for how the movie winners compared to my votes and predictions. From My Saturn Award votes and predictions for 2018, along with the results and my scoring of them. "Best Action / Adventure Film Release My vote: Baby Driver. Who is likely to win: The Fate of the Furious or The Greatest Showman." The award went to "The Greatest Showman." A hit, barely. "Best Actor in a Film My vote Daniel Kaluuya. Who is likely to win: Chadwick Boseman or Mark Hamill." Again, a hit. "Best Actress in a Film My vote: Sally Hawkins. Who is likely to win: Gal Gadot." Bullseye. "Best Animated Film Release My vote: Coco. Who is likely to win: Coco or Despicable Me 3." Hit. "Best Comic to Motion Picture Release My vote: Wonder Woman. Who is likely to win: Black Panther." Hit. "Best Fantasy Film Release My vote: The Shape of Water. Who is likely to win: The Shape of Water, Beauty and the Beast, or Jumanji: Welcome to the Jungle." A hit, based on my voting for it. "Best Film Costume Design My vote: Wonder Woman. Who is likely to win: Beauty and the Beast, The Greatest Showman, or "Black Panther." A hit, barely, based on the being the first listed. Best Film Director My vote: Guillermo Del Toro. Who is likely to win: Guillermo Del Toro or Ryan Coogler." A hit, sort of and much to my surprise. "Best Film Editing My vote: The Shape of Water. 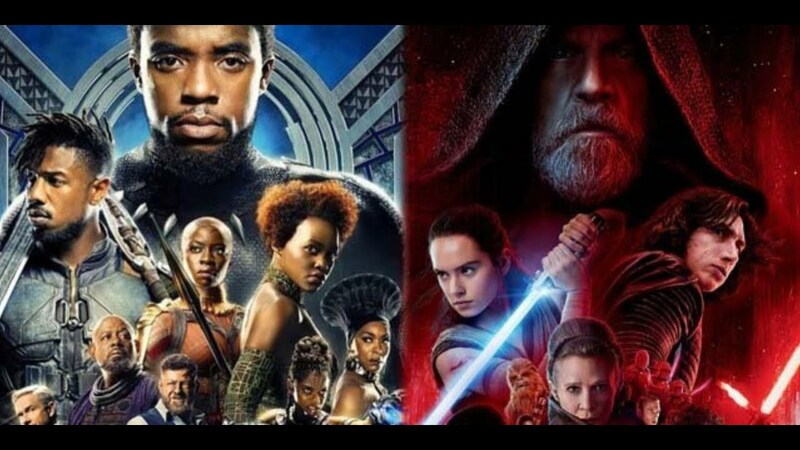 Who is likely to win: Black Panther or Star Wars: The Last Jedi." Again, a hit, but just barely. "Best Film Make Up My vote: Guardians of the Galaxy Vol. 2. Who is likely to win: Star Wars: The Last Jedi." Complete miss, as it went to "Black Panther." "Best Film Music My vote: The Shape of Water. Who is likely to win: Black Panther or Star Wars: The Last Jedi." A complete miss, but only because I had no faith in the Saturn electorate supporting the professionals' choices, the other of which was "Coco." "Best Film Production Design My vote: The Shape of Water. Who is likely to win: Black Panther or Star Wars: The Last Jedi." A hit. "Best Film Special / Visual Effects My vote: War for the Planet of the Apes. Who is likely to win: Star Wars: The Last Jedi." A complete miss, although I shouldn't be surprised, as "Guardians of the Galaxy, Vol. 2" won Outstanding Virtual Cinematography in a Photoreal Project for Groot Dance/Opening Fight at the Video Effects Society. That and the trippy virtual scenery probably earned it the win. "Best Film Writing My vote: Jordan Peele for "Get Out." Who is likely to win: Get Out or Logan if the voters pay attention to everyone else, The Shape of Water, Black Panther, or Star Wars: The Last Jedi"Best Horror Film Release My vote: Get Out. Who is likely to win: Get Out or IT." That's a hit. "Best Independent Film Release My vote: I, Tonya. Who is likely to win: Wonderstruck." A complete miss, as it went to "Wonder." "Best International Film Release My vote: The Square. Who is likely to win: The Man Who Invented Christmas." Another complete miss. "Best Performance By A Younger Actor in a Film My vote: Dafne Keen. Who is likely to win: Tom Holland, Sophia Lillis, or Letitia Wright." A hit, but only because I listed Holland first and expected him to win as defending champion. "Best Science Fiction Film Release My vote: Star Wars: The Last Jedi. Who is likely to win: Star Wars: The Last Jedi." I missed because I did not believe that the Saturn electorate would dump a Star Wars movie in favor of the insider's choice, "Blade Runner 2049." "Best Supporting Actor in a Film My vote: Patrick Stewart. Who is likely to win: Harrison Ford." My choice won over my prediction! Half a hit. "Best Supporting Actress in a Film My vote: Octavia Spencer. Who is likely to win: Carrie Fisher." That was a complete whiff. "B>Best Thriller Film Release My vote: The Post. Who is likely to win: Murder on the Orient Express." For a third time, I missed because I didn't think the Saturn electorate would support the professional favorite, "Three Billboards over Ebbing, Missouri." In this case, they did. Total so far, 14 out of 22. I'll be back with the television and home entertainment winners tomorrow. Stay tuned.